I posted recently on Instagram about making time for each of my littles and how it can sometimes be overwhelming, but I've been making an extra effort to make sure each one feels individually important in their own special way. I've already realized how TWINS can make this task even trickier! I somehow always seem to lump them together as "the twins" rather than calling them by their individual names and have heard from twins that that was one of their least favorite things about being a twin- not being considered their own individual self. Once I heard that, I decided to make a conscious change to always give them separate time, as well as time together to become their own person. I have also tried to make sure Olivia has always felt like she never gets the short end of the stick. Since having a massive change in our family two years ago, when not one- but TWO babies decided to steal all her thunder as the only child, I know it's been hard having to share mom and dad's time. My time with her has become some my favorite, and cherished, time. She is in such an awesome stage right now where I love getting to know her more and more and watch her turn into the amazing little human she is. The beautiful thing about her, is that although I'm sure it was a hard change, she has dealt with everything so gracefully and with so much love. She rarely acts out for attention and is always so helpful. I always try to make the twinners nap time her and my one-on-one time where we can have our "special time". I love hearing how you make special time for each of your littles and what has worked for you! I am always looking to keep growing and improving my mama skills, because heaven knows, I need all the help I can get!! 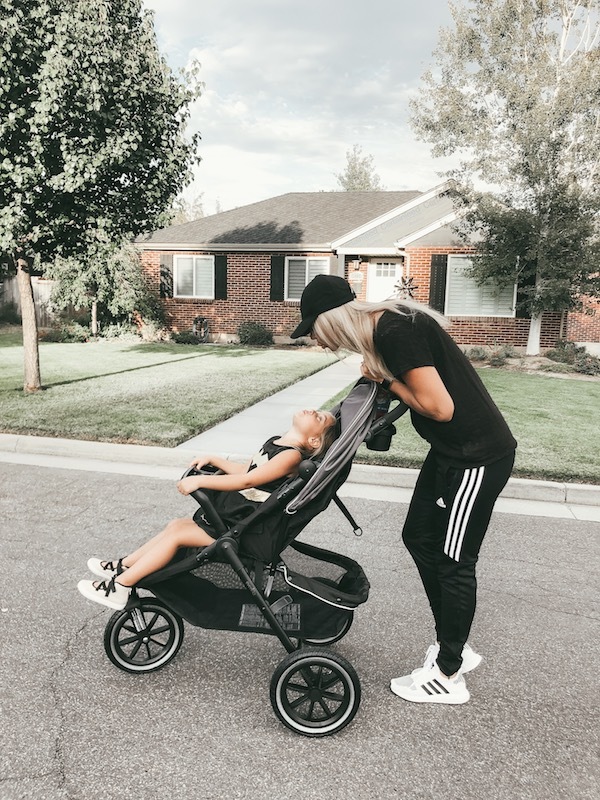 I got a lot of DM's asking about this stroller I had posted! 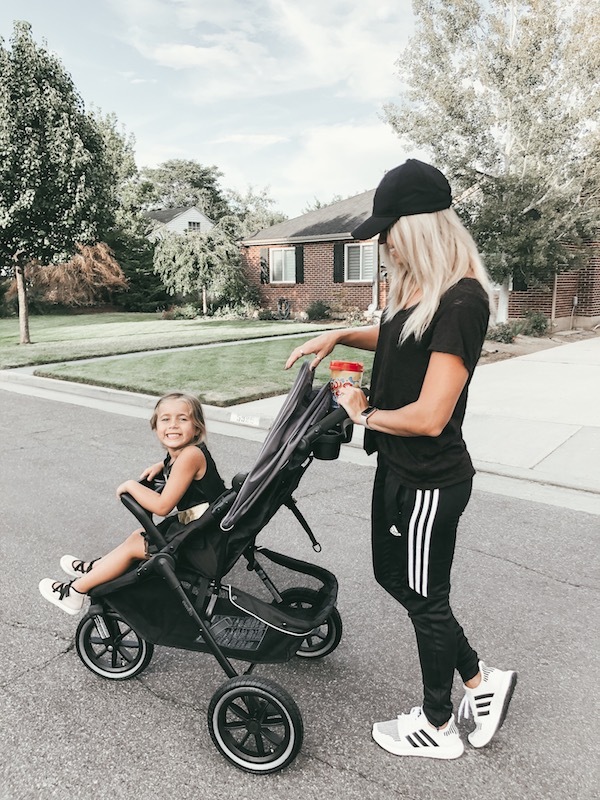 It has honestly been one of my favorite single strollers I've ever had and I've loved that it doubles as a jogger as well! This cute setup is the Evenflo Folio3 Travel system and comes with a carseat as a set. 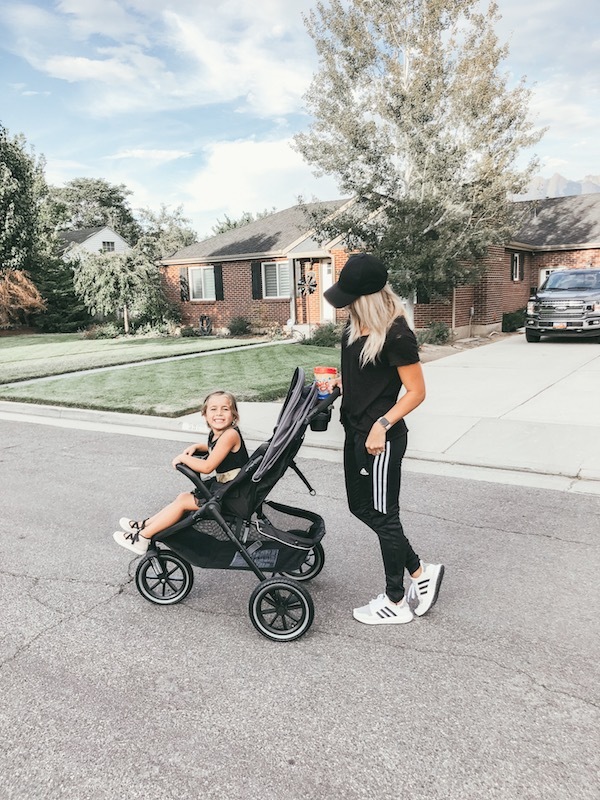 This has been one of the sleekest strollers I've found and also just so happens to be one of the most affordable! Both the twins have Evenflo carseats at the moment and I have loved the quality for the price. 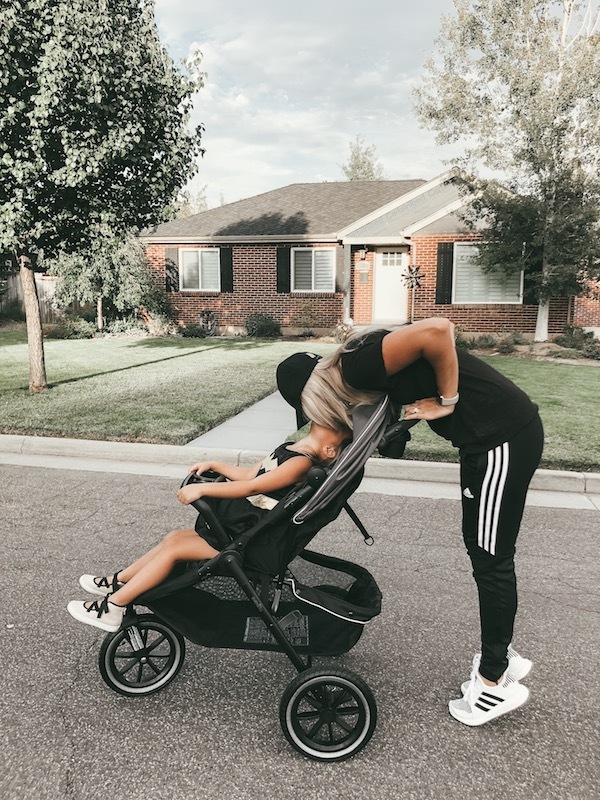 For those interested or looking for a stroller at the moment, I would definitely recommend!